Meet an albino raccoon, marvel at dinosaur bones, watch otters frolic in the water, stargaze in a planetarium, and more—all at no cost, thanks to a special partnership between Cleveland Public Library and the Cleveland Museum of Natural History. The family pass program allows anyone with a valid Cleveland Public Library card to check out a pass admitting up to six people into the Cleveland Museum of Natural History at no charge. With a free family pass, Library patrons can explore wonders both new and old (as in, millions of years old) at the Museum. Visitors might recognize some classics among the Museum’s collections—including dinosaurs, especially “Happy,” the Late Jurassic sauropod; a cast of Lucy, the early human ancestor who lived 3.2 million years ago; and Balto, the heroic husky—but new galleries and exhibits ensure there’s something to captivate everyone who stops in. Ride out some tremors on the earthquake simulator, cower before the armored skull of the fierce Dunkleosteus, view a Moon rock from the Apollo 12 mission, piece together a model of a human skull, learn about volcanoes and climate change, and scavenge for cheeseburgers (more on that in a minute). One of the Museum’s most visible recent additions is the Perkins Wildlife Center & Woods Garden, which gives visitors an up-close-and-personal view of wildlife including bobcats, a bald eagle, foxes, hawks, coyotes, a porcupine, owls, turkey vultures, and many other creatures. This year-round outdoor gallery features elevated walkways, “invisible” fencing for better viewing, and enrichment to keep the animals stimulated and happy. The wildlife center invites visitors to wander through five distinct ecological communities found in Ohio, an experience that illuminates our relationship with the natural world around us. Helping visitors understand and connect to the natural world is a key part of the Museum’s mission. In the lower level, browse exhibits that focus on the natural habitats and wildlife in Ohio. (Bonus: Check out the beetle and bird egg displays to seek out the interlopers that don’t belong in the exhibit.) 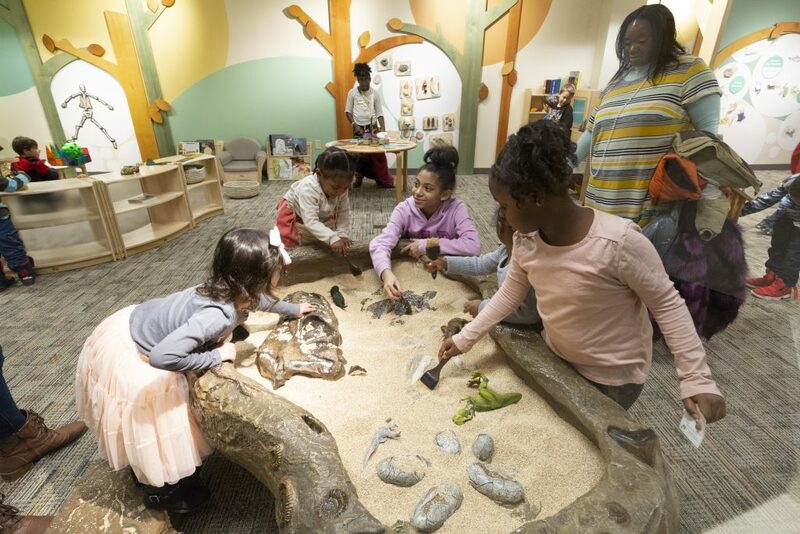 This floor also includes the Smead Discovery Center, a staffed, hands-on learning center that lets kids play games, dig for bones like a paleontologist, and develop a richer understand about the larger world. And after learning about the Buckeye State, take a step back to view the universe in the Shafran Planetarium, which includes a new digital projection system. Family passes also provide entry into special exhibits at the Museum. 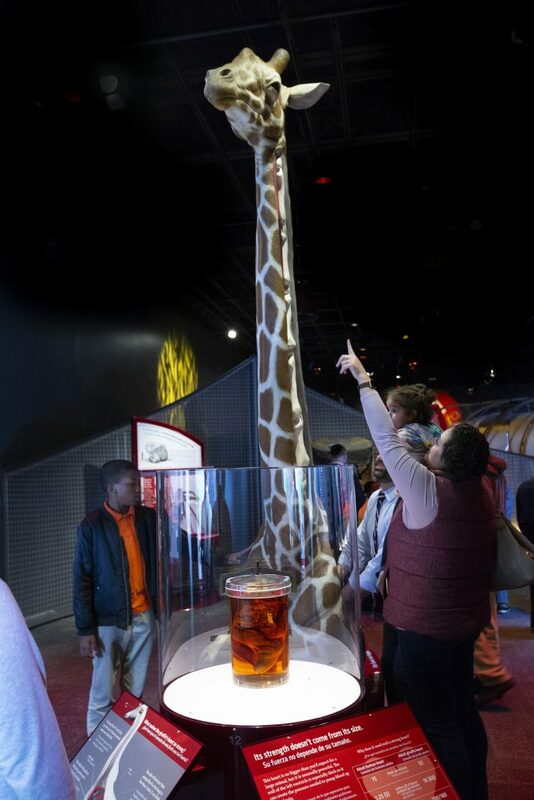 Through April 28, 2019, the exhibit Built to Survive: Biomechanics showcases the wonders of natural engineering within the plant and animal kingdoms. Learn how plants and animals survive—how they eat, move, avoid predators, and process information to help them outwit their competition. Additional, smaller exhibits are also hosted in the Museum’s Fawick Gallery. Finally, kids will love the Museum’s cheeseburger scavenger hunt. Seven plastic cheeseburgers can be found throughout the premises. Follow the clues (examples: “This burger is a slam-dunk” and “Marsha, Marsha, Marsha!”) to track down each of the burgers. Family passes are available at every branch of Cleveland Public Library. In addition to admitting six people (children two and under are always admitted for free), each family pass includes access to all public areas in the Museum, special exhibits, the Perkins Wildlife Center & Woods Garden, and one planetarium show. Passes are subject to availability and must be used within thirty days; calling ahead to ensure passes are available at a specific branch is recommended. Patrons are particularly encouraged to check out and redeem passes this winter, when the program historically has seen lighter use. After all, natural wonders persist year round. The Cleveland Museum of Natural History is located at 1 Wade Oval Drive in University Circle. The free BlueLink shuttle connects the HealthLine to the Museum. Contact Outreach and Programming Services at 216-623-2921 or OPS@cpl.org for more information about the family pass program.